The six doctors will see you now. Dr [James] Reilly said on Monday that women expressing suicide ideation would not have to be interviewed by six doctors, but Labour sources last night insisted he was continuing to propose a two-stage process involving a total of six doctors. This was characterised as an “entrenched position in Fine Gael” by Labour sources, who insisted the proposed legislation was not workable. The first stage would involve an obstetrician and two psychiatrists, including a perinatal specialist. 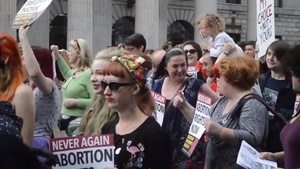 They would have to jointly certify that in their reasonable opinion there was a real and substantial risk to the life of the pregnant woman through the threat of self destruction which could only be averted by a medical procedure. 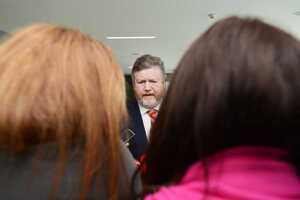 Posted in Misc and tagged Abortion, Dr James Reilly at 7:52 am on April 24, 2013 by Broadsheet.